Weatherstripping is one of the most economical ways to improve energy efficiency, air quality, and more money saved on bills. 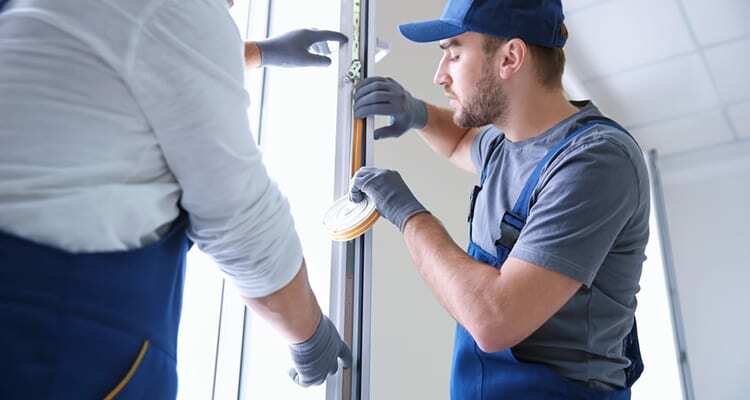 The process of weatherstripping is by sealing and insulating the openings of windows and doors with either metal, rubber, vinyl, foam, or felt that eliminates the gaps when closed. Especially if your home is prone to leaks and drafts or if you live in a place with extreme weather, here are four benefits of weatherstripping you might want to consider. Surprisingly, you can save up 20% of heating and cooling costs just by weatherstripping your windows and doors. Air leaks can be responsible for up to 30-40% of a home’s overall heat and cooling and that means spending more money on bills that could easily be reduced with weatherstripping. This could also mean less energy efficiency because of the constant air flowing in and out the house. Weatherstripping also helps manage humidity control in the home as well. If your area is prone to severe storms or even flooding, weatherstripping keeps water entirely out or could even help reroute water away from the entering the home. Weatherstripping is also commonly used on boats to seal cargo and passenger areas from leakage. In addition to this advantage, this keeps mildew from growing inside the home. Along with ensuring proper air quality control, weatherstripping is also known to reduce allergens like dust, pollen, and even mold. Weatherstripping also keeps unwanted pests out like bugs, insects, and even ants. Depending on the material you chose you weatherstrip your home with, the process is extremely easy to install and is very affordable. Weatherstripping could sometimes be a DIY (Do-It-Yourself) project if you’re looking to save even more money. All in all, weatherstripping brings great advantages to your home value, your comfort and living, and your wallet as well.